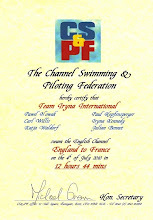 www.HoffySwims.com: 'Team Iryna International' - English Channel Relay - July 04, 2010 - England to France, 12 Hrs. 44 Minutes! 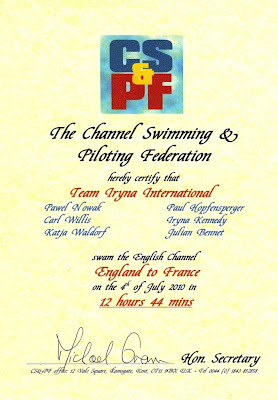 'Team Iryna International' - English Channel Relay - July 04, 2010 - England to France, 12 Hrs. 44 Minutes! 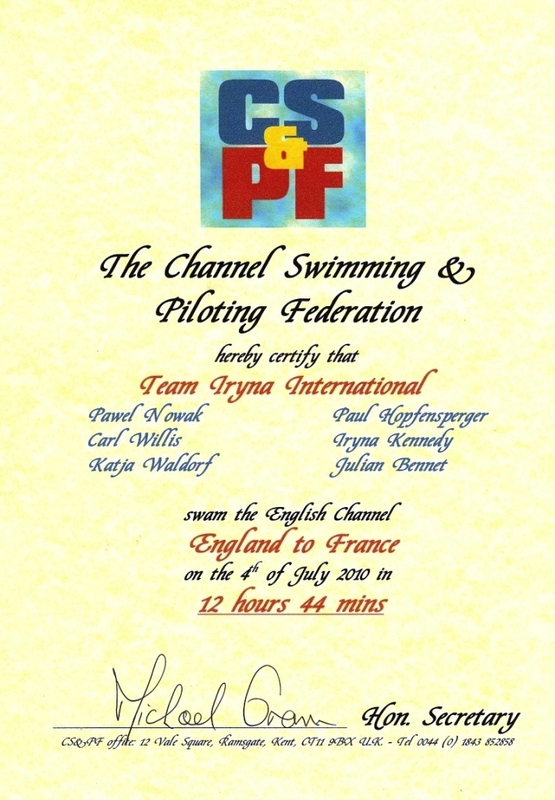 Above: The route of the 'Team Iryna International' English Channel 6 person relay team, consisting of the following simmers in swim order: Pawel Nowak (Poland), Paul Hopfensperger (England), Carl Willis (England), Iryna Kennedy (Ukraine), Katja Waldorf (Germany) and Julian Bennet (England). 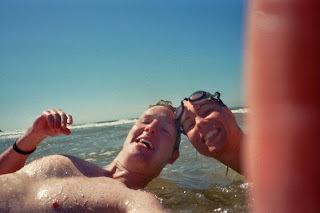 Leaving London following my inaugural (and possibly final if we have to wear wet suits again!) 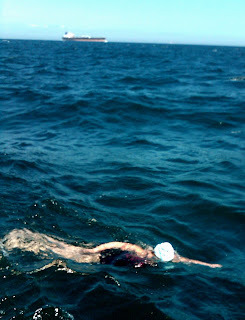 British Gas Great London Swim, I headed down to Dover while Beccy and Luca headed back to Bury. 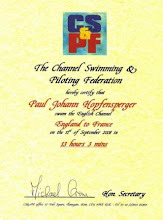 Tomorrow morning I was going back into The English Channel for the first time since my 2008 solo. I was really looking forward to it. 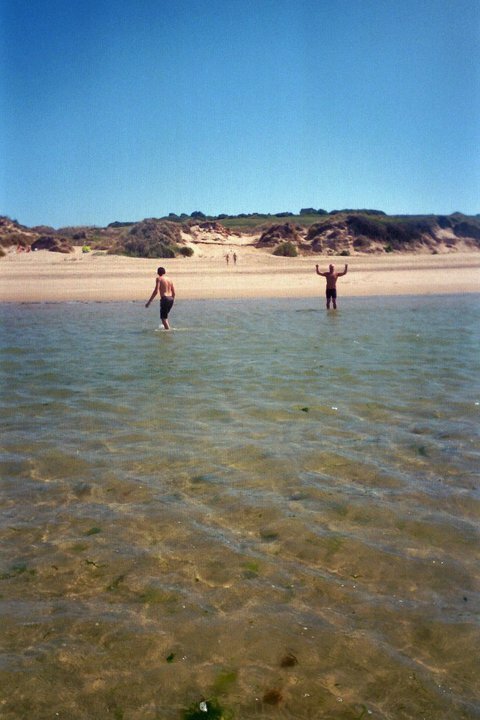 Arriving at 'Swimmers Beach', King of The English Channel, Kevin Murphy and one of the relay team members, Pawel Nowak, were just getting out of the water after a 6 hour training swim. 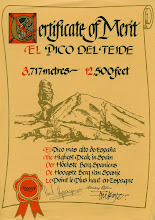 Pawel is training for his solo attempt later in the summer. Kevin invited me round to his flat in Dover for dinner with his wife Jane, and after a trip to Tesco with Kevin, Pawel and his girlfriend, we were cooked a wonderful Polish style meal. It went down a treat. I then headed off to Varne Ridge to find Iryna and her family who were going to give me a bed to put my head down for about 2.5 hours. I went out like a light only to be woken up by the alarm clock at 1am. This was it, we were off! 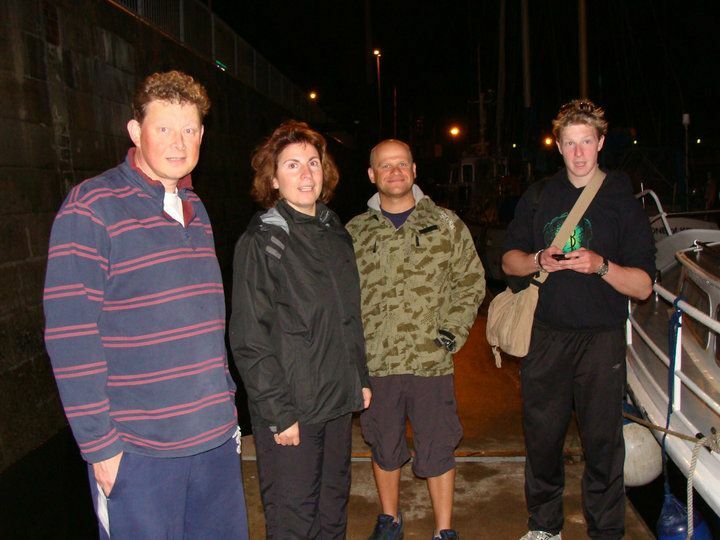 Above: (Left to Right) Carl Willis, Iryna Kennedy, Pawel Nowak and Julian Bennet waiting to board the support vessel, Sea Satin, piloted by Lance Oram. 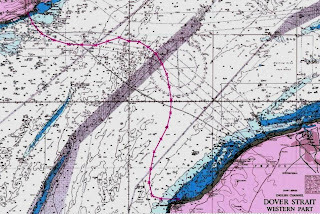 Above: (Middle) Katja Waldorf board Sea Satin with Julian and Carl. 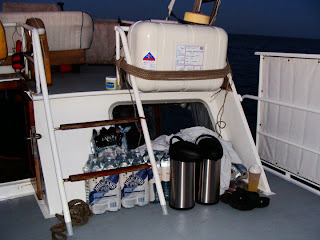 Above: Just some of the large quantity of water and food required to support 6 swimmers across The English Channel. 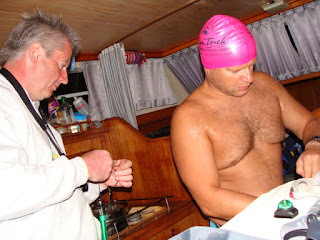 After being explained the rules of a Channel Swimming and Piloting Federation English Channel Relay, I helped Pawel get ready. 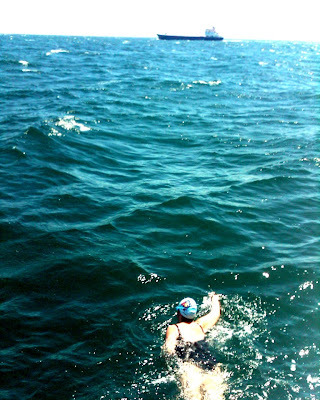 He was going to swim first, so that he knew what it was like to start a channel swim, and swim in the dark. 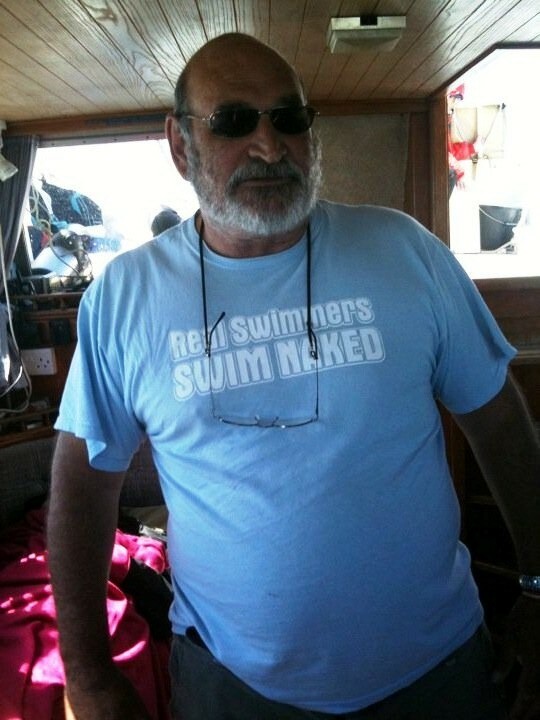 This was in preparation for his solo swim later in the summer. He dived off the boat, swum to shore and at 02:47 Hrs. British Summer Time on Sunday July 04, 2010 he set off from Shakespeare Beach heading for France. 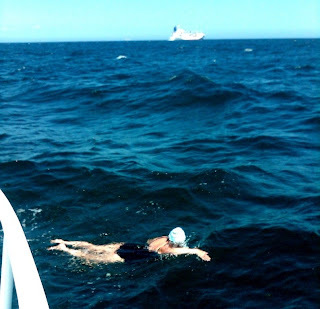 Feeling slightly nervous, slightly excited, I waited for the signal from the observer....then at 03:47am, I dived in behind Pawel, looked up for him and swum past him to start my first hour in the channel as he got out. As it was only an hour, I decided to just sprint. 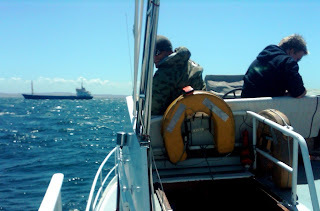 It was fairly chilly initially, but once I had got going it was fine. I found a good pace and just set about doing my job. 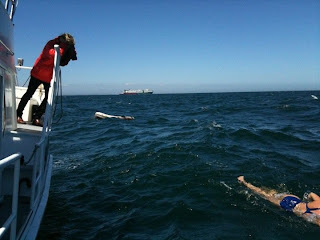 Above: Pawel gets out after his first of 3 swims. The electronic guidance system plots our course. As I swum, I could see that the sun was slowly rising on the horizon. It was beautiful, if not rather red. "Red sky in the morning, shepherd's warning" I thought. As we found out later, I was right! 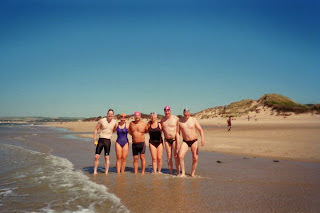 The next swimmer in was to be Carl Willis. He prepared himself, and went through the same routine as I did. 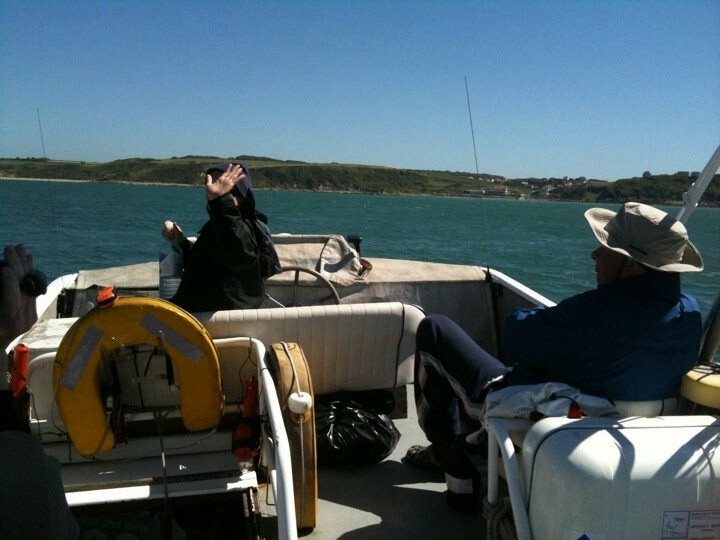 Above: Carl Willis prepares to enter the channel as the red sky looked stunningly beautiful. 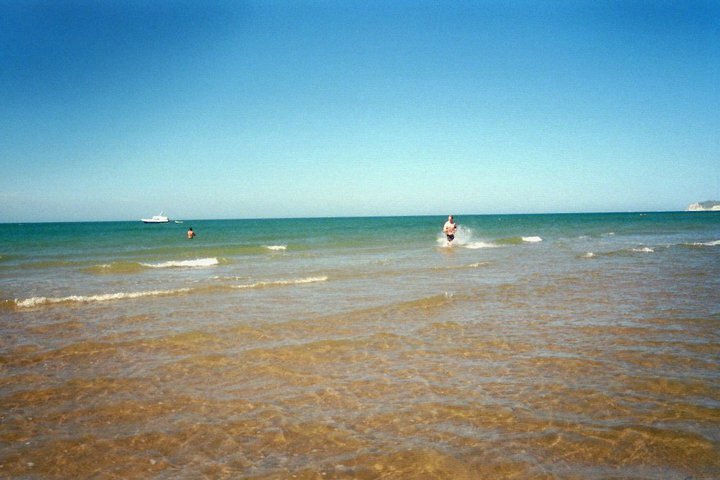 I then had a total of 5 minutes from the initial siren to grab on the back of Sea Satin, and haul myself out of the channel. Back on board it was a surreal experience as I was not used to getting out after just an hour and watching others swim. It had been a great swim. Really enjoyed it, and couldn't wait to get back in again. 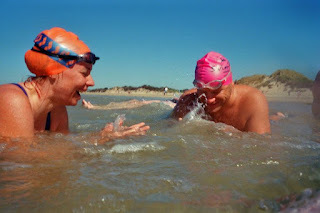 Poor Katja however, had been really sick while I was swimming. She was really suffering. After Carl's swim, Iryna entered the water at 05:47 Hrs. to do her first hour. This was her relay team and it was a big moment for her as she dived in The English Channel for the first time. 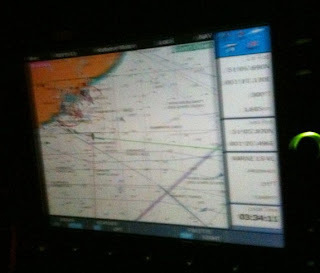 As can be seen from the photos, we were now in the shipping lanes. She did her first leg admirably, until at 06:47 Hrs. 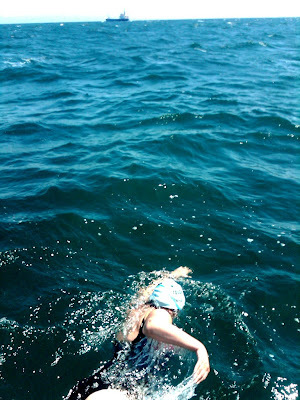 Katja entered the water for the first time. I was a bit worried about her as she had been so sick, and was worried about the cold. However, she did a great job! 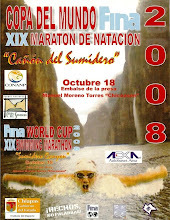 A really good, strong swimmer. 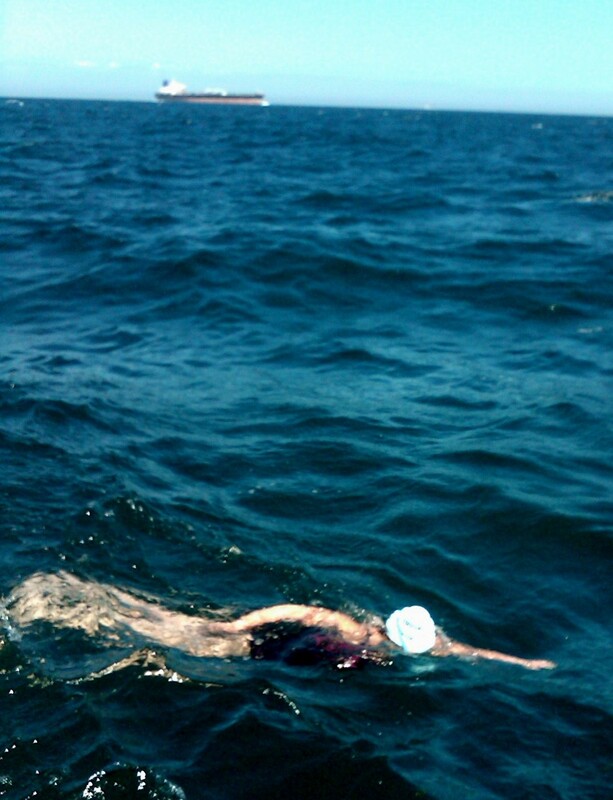 Katja hauled herself up onto Sea Satin and wrapped herself in her towel. She was really cold. Shivering profusely. 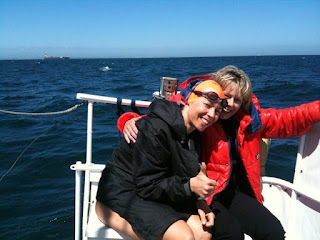 Katja with Carl's sister on board Sea Satin after her first swim. 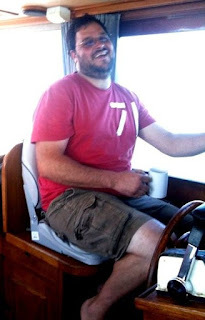 Our pilot, Lance Oram and his assistant (I didn't actually get to ask his name - apologies) did a great job and played excellent music all the way across the channel. 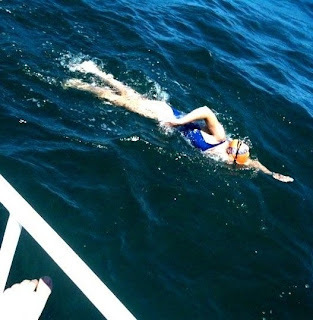 We went through the entire cycle for the second time with the swimmers in at the following times: Pawel: 08:47 Hrs., Me: 09:47 Hrs., Carl, 10:47 Hrs., Iryna: 11:47 Hrs., Katcha, 12:47 Hrs. Katcha had taken along time to warm up and had been really sick. I feared for her diving in again, but below is a photo just before she got in at 12:47 Hrs. 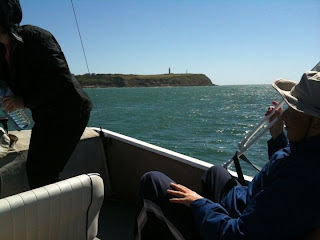 Above: Cap Gris Nez, our destination and every channel swimmers hopeful destination. 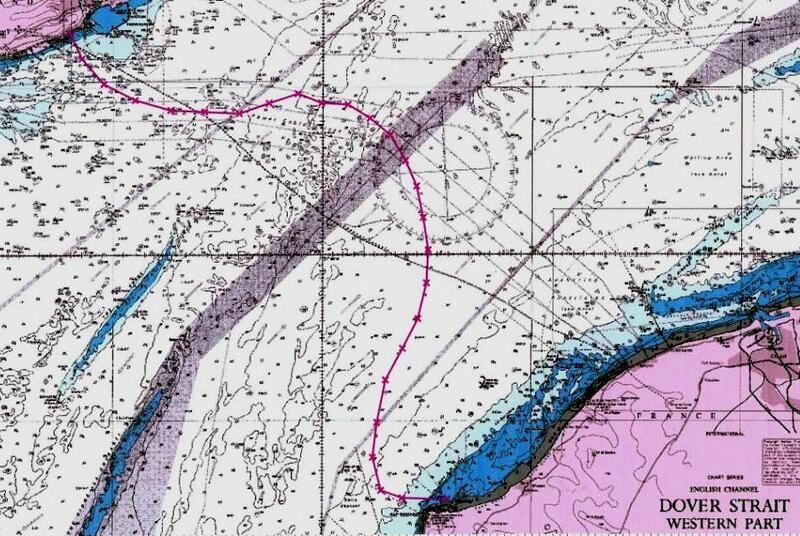 The closest point to England. 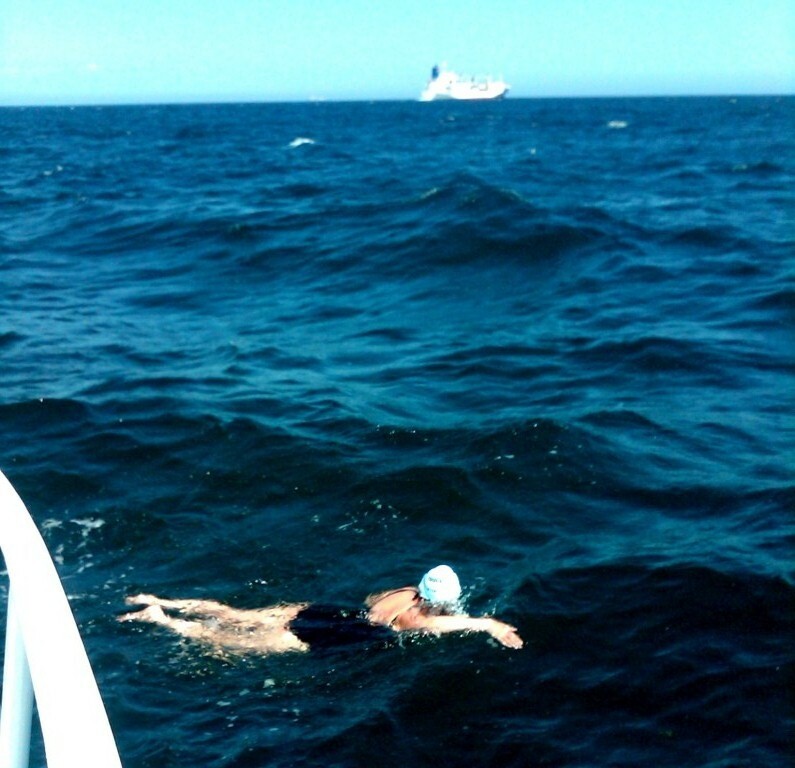 Above: Katja during her second stint in the channel between 12:47 and 13:47 Hrs. Having had a few photos taken, we all swum back to the boat ready for the trip back to England. 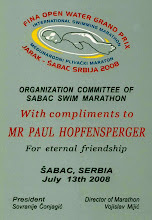 It had been a really enjoyable and successful relay swim which I think we would all always remember. As you can see, the weather on the beach was absolutely beautiful, things were about to change though! You can never tell whet will happen in The Channel, but the sudden change in conditions on the way back really shocked me. 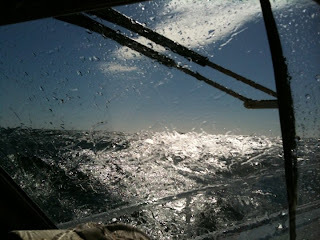 To us inexperienced sailors it was what you would call damn rough! To Lance Oram, it was just Gale Force 6 and "a little cheeky". 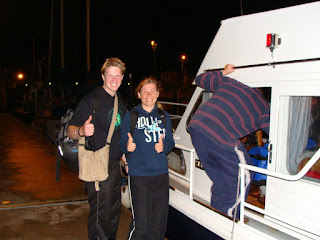 I sat on deck opposite Pawel and had to cling to the railings for dear life all the way back. I had never experienced this before. Unreal! 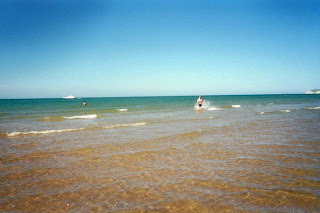 When we finally landed back in Dover, we all said our goodbyes, and I drove the 145 miles back home to Bury St Edmunds. 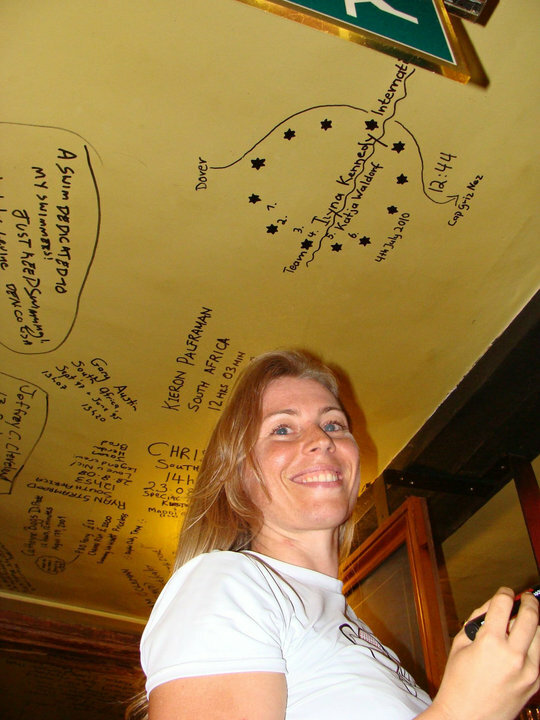 Katja put our names and route on the ceiling of the white horse which is a Channel Swim tradition. 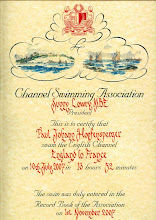 Next time I am in Dover, I will sign it. 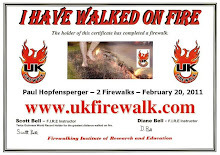 It had been a really busy and successful weekend. The British Gas Great London Swim on Saturday, and an English Channel Relay on Sunday. Quite a nice little weekend really!